Son of Houston J. and Marie Carroll Tippen Brown. Forwarding Camp in France on February 5, 1919. Buried in Davidson College Cemetery. “Body of Huston Brown is Buried at Davidson.” Charlotte Observer, 20 Dec 1920: 4. Fletcher, Arthur Lloyd. History of the 113th Field Artillery 30th Division. Raleigh, NC: The History of the 113th F.A., 1920. 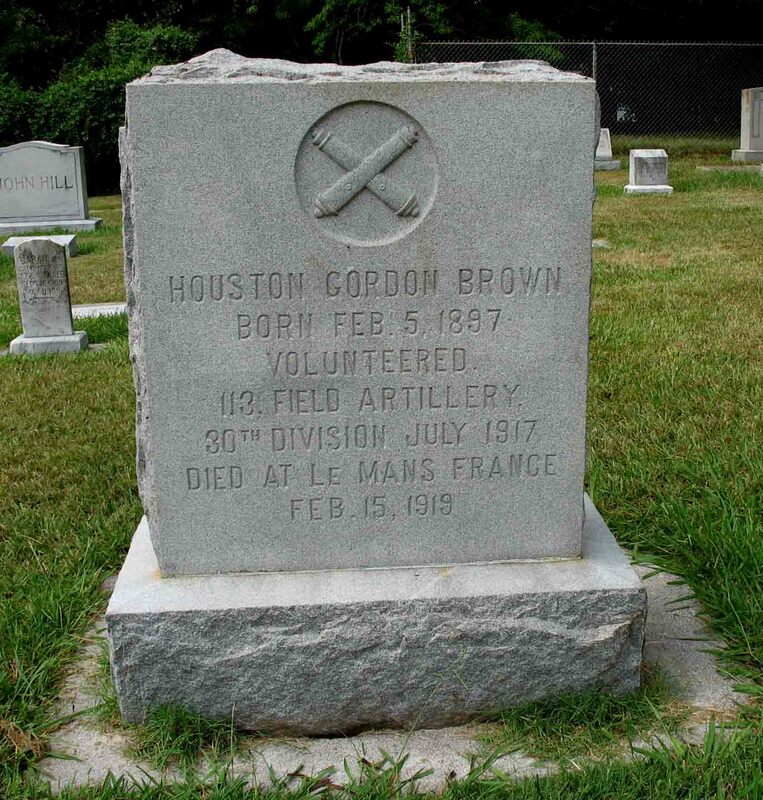 “Houston Gordon Brown.” Find A Grave, 21 Nov 2009. Web. 1 May 2014.